A crash course in workforce skills is helping drive job growth in Tishomingo County. In the northeastern-most part of Mississippi, rural Tishomingo County is proving to be at the corner of opportunity and industry. In October, Orbital ATK announced it will invest nearly $10.5 million in an expansion of its 320,000-sq.-ft. (29,728-sq.-m.) Iuka facility. The aerospace and defense company will manufacture large composite aerospace structures for launch vehicles and a large national aerospace and defense program. The expansion will create an additional 50 jobs. The news follows a $5-million investment in Ohio the company announced in September, and the June completion of another major expansion in Gilbert, Arizona. The company operates 62 sites nationwide. In 2016, BMSI Inc., invested $6 million in a new manufacturing facility in Burnsville where it created 100 jobs. The company located in an existing 20,000-sq.-ft. (1,858-sq.-m.) space at Yellow Creek Port South and plans to expand it by another 10,000 sq. ft. (930 sq. m.). The facility will manufacture specialty products for the U.S. Department of Defense, as well as produce commercial restaurant equipment. “The State of Mississippi, as well as the Tishomingo County Development Foundation and Yellow Port, have made this the obvious choice of locations to build a new facility. We look forward to being a part of the growth and success of the Tishomingo County area,” BMSI President Robby Stephens said at the time of the company’s announcement. With such consistent development in the area, having a qualified workforce becomes all the more critical. Northeast Mississippi Community College (NEMCC) has begun offering free, specialized job training at a manufacturing academy in Tishomingo County at its Iuka campus. The academy is the result of a partnership among NEMCC, Mississippi Silicon, Rural Development Partners, Appalachian Regional Commission and the Tennessee Valley Authority. Greg James, NEMCC Workforce Development manager, says the idea for the academy started about three years ago when industries shared their workforce wish list with the college. In February the school issued a survey across 200 local businesses. 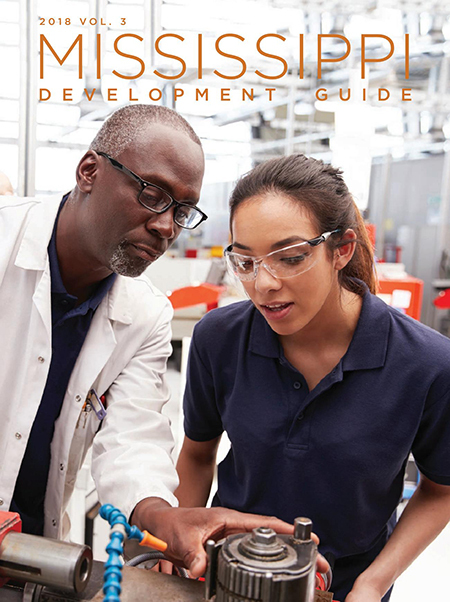 Employers wanted applicants to have more training in 23 skill areas, including specific manufacturing-related skills and general soft skills. The free academy is broken down into two parts. One is a 45-hour Smart Start course on necessary skills such as applied math, graphic literacy and soft skills. The other is a 50-hour course teaching key manufacturing skills, including precision measurement, high-performance manufacturing and others.